Midnight Monster by Ashlie Harris is a flash fiction piece which is surprisingly entertaining. Perfect reading for the current freezing temps, actually. Very little is revealed about the victim or the monster, but the terror of being chased from one hopeless situation into another equally hopeless situation is more than enough to feed the imagination. This year I'm going to be trying out a new review format in hopes of generating some discussions in the comments section, or, at the very least, generate some deep thoughts within my viewing audience. I began writing reviews because I wanted to share my reading experiences, but somehow I let my reviews devolve into glorified book reports. I became so focused on describing the stories and commenting on the authors' writing styles, I left out the best part of reading: projecting myself into the dreams and nightmares the authors create. I react to the characters as if I knew them personally. I decide what I would do in their places. I judge, I problem-solve, I scream and curse when the characters deviate from my own reactions and decisions. I never ever simply read any story...flash fiction, novels, series...they're all destinations and they all deserve more than a postcard review. I always wonder what kind of exposure the characters of a story have had to the horror genre. Does fictional horror even exist within a horror story? I ask because I'm wondering what in the hell the main character in Midnight Monster thought could be accomplished by yelling at the scary noises...or throwing a hairbrush. If something ungodly showed its face at my window, I wouldn't wait for it to make its way into my bedroom. I wouldn't run to someplace isolated and hope for the best. Sometimes I'm not sure if the monsters in these stories are that frightening, or if the terror comes from "watching" characters practically commit suicide with their lack of critical thinking skills. Many of these characters seem like "fork in a toaster" type. We know it's not going to end well, but we can't look away. 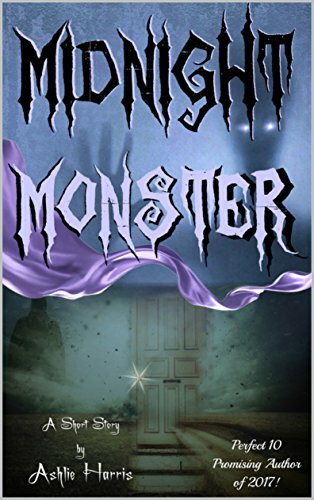 Thank you for your review of Midnight Monster! A bit of background: This was originally written for a short story contest (though it didn't win) and was my first attempt at first person pov and horror. I'm still working on my writing style in this genre, and am sure there's plenty to learn, going forward. I'm honored you took the time to read my words! Thanks, again!! I enjoyed the story...I just like imagining myself as the main character and figuring out what I would do. I especially liked the description of the monster. Thank you! :D If you don't mind my asking, how did you come across Midnight Monster?